They are on the wall!! 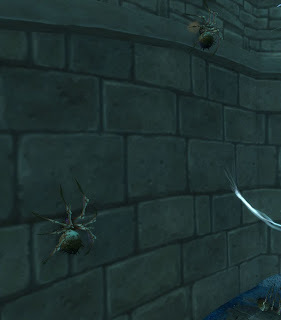 After some thinking of todays phrase trying to come up with what to use for my screenshot these spiders came to my mind. Mostly since they are trying to climb on the wall.